What do elephants need ivory for? Digging, lifting, pushing and defending. What do people need ivory for? 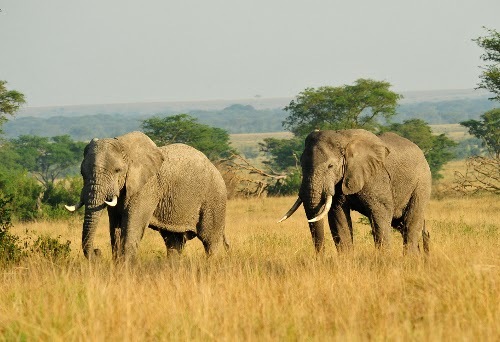 African elephants. Photo by Julie Larsen Maher/Wildlife Conservation Society. Today is Elephant Appreciation Day and already 5,200+ of you have shown your support by taking the pledge to end the ivory trade in Washington state. With 3,000 additional signatures coming in from our friends at Point Defiance Zoo and Aquarium, together we’re reaching out again to elected officials to ask them to consider sponsoring legislation. What a way to celebrate how far we have come in raising our voices for elephants! Let's keep the momentum going. 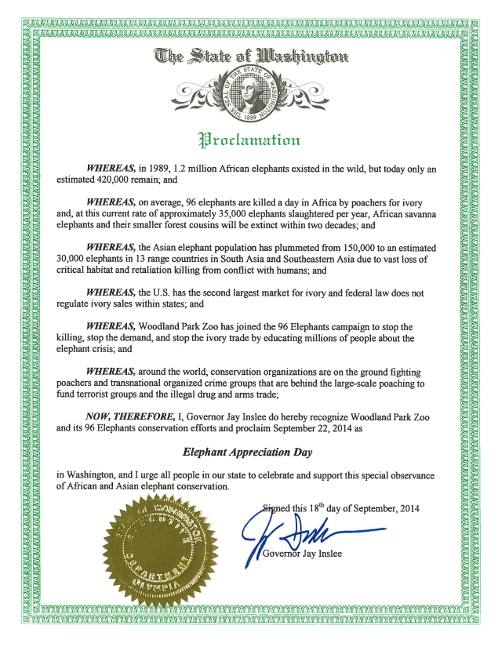 Please share this post to your networks and encourage your friends to sign the pledge at www.zoo.org/96elephants. On behalf of the elephants, we thank you! Good things come in three… flamingos!